Indipenned knowledge articles allow the creators of great independent literature to share their skills and experience with others looking to make their way in the world of independent publishing. Knowledge articles can be about anything that you feel will be of interest to those involved in this wonderful world. Knowledge articles span the whole of the publishing process including writing, book production and book marketing. 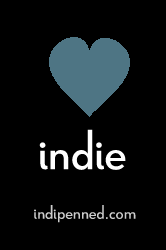 Knowledge articles are one of the ways Indipenned is looking to create an online community for those who are passionate about independent literature. They let established independent literature professionals share their experience with those beginning their careers be letting them give something back to the artform that has given them so much enjoyment. However, it’s not just up and coming authors who will benefit from this sharing of knowledge and experience.If you stop learning, then you stop developing and even the most experienced of us benefit from insights learned by others. Obviously, pulling together a knowledge article does require some effort. However, once this knowledge base grows, we will have a resource that will allow independent book publishing to be a really valuable tool in itself, with the premise being that individual ideas make the whole greater than the sum of the parts. Aristotle said this and he is definitely someone who knew what he was talking about. Click the @ symbol to be notified about more postings from the Indipenned Team.